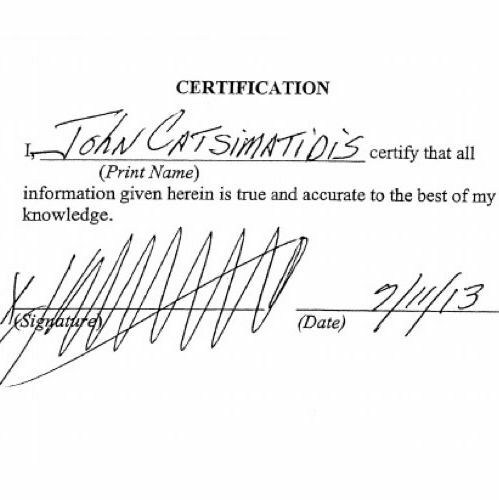 Behold, the signature of supermarket magnate and Republican mayoral candidate John Catsimatidis, which looks like the doodle you make when your pen runs out of ink and you’re trying to get it working again. The Wall Street Journal asked some handwriting experts what it means, but we know these interpretations are meaningless. Anyway, since The Man has forced Jack Lew to conform, Catsimatidis may now hold the crown for Signature With the Least Resemblance to Actual Letters.